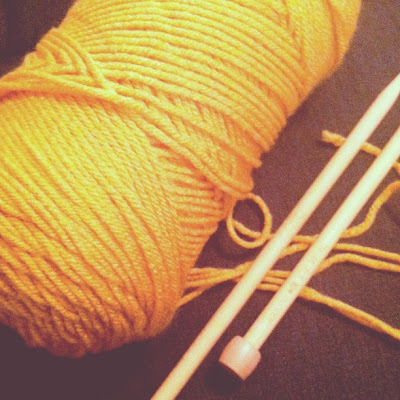 I'm happy to report that over the weekend, I also learned to knit! 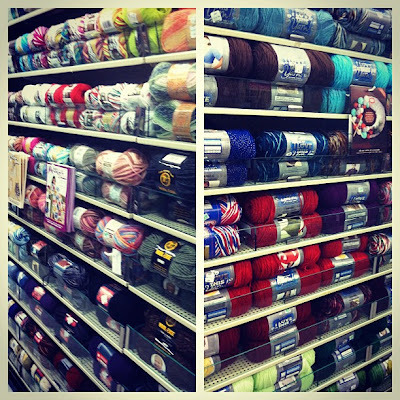 My bestest friend, Taylor, was in town for Easter, and on Saturday we went to my neighborhood Hobby Lobby and picked out my yarn and needles. I have been knitting non-stop since then! All Things Luxurious also worked with a client on Monday who needed some organizational help, and today I bought some goodies for a bathroom makeover that I am going to be starting (and hopefully finishing!) tomorrow! :-) Very excited about that -- you'll see that our bathroom is definitely in need of some help! I'll catch ya back here tomorrow, m'dears! Thanks for stickin' with me on my little break! I am so happy that you're SO into knitting. 'Tis a dream come true. I can't wait to see your progress when I visit next!